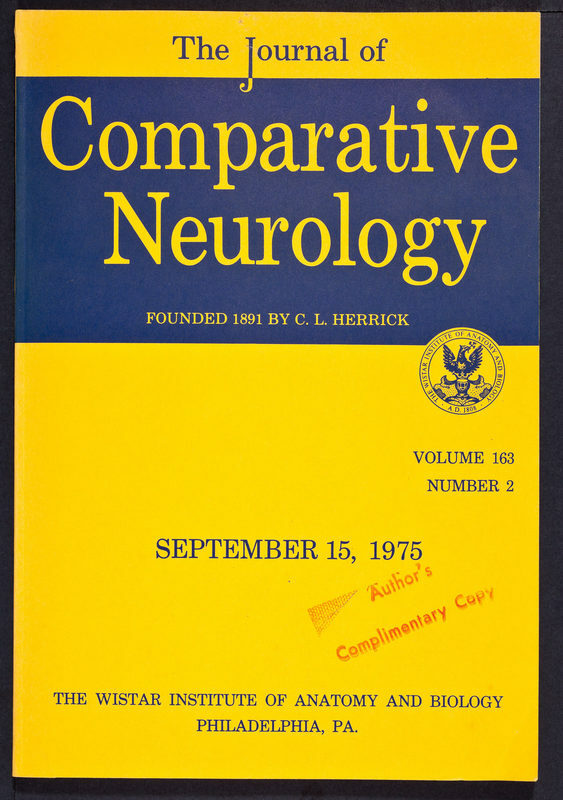 Wistar Institute of Anatomy and Biology, “Journal of Comparative Neurology - Vol. 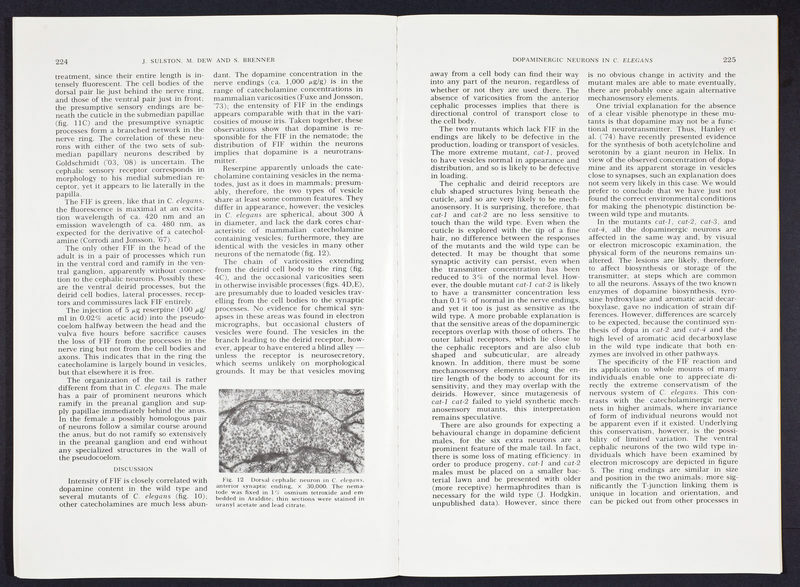 163 No. 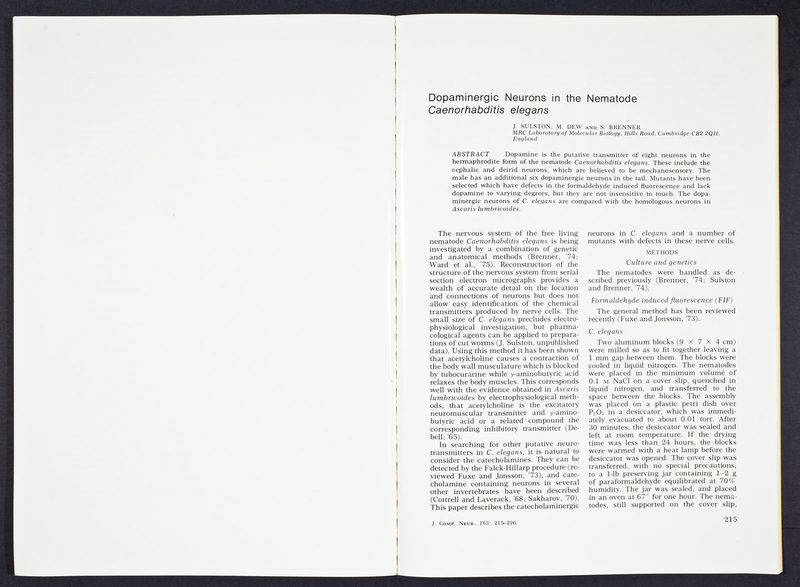 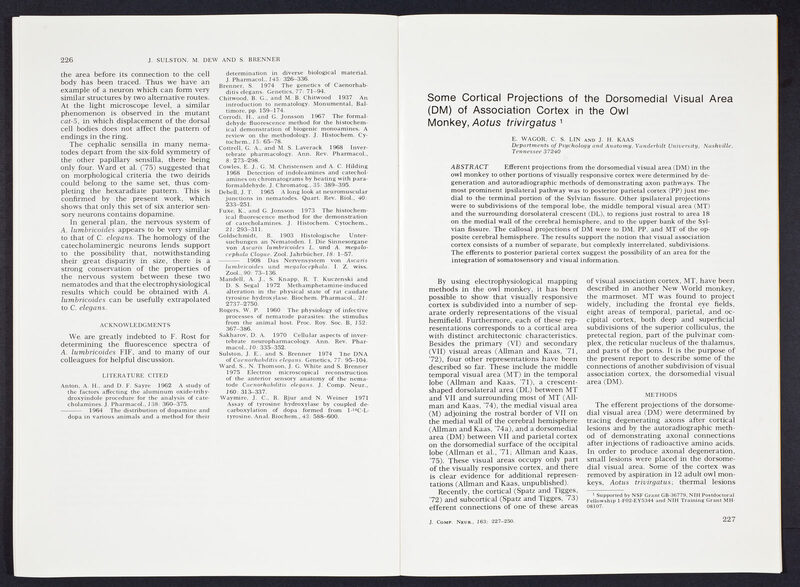 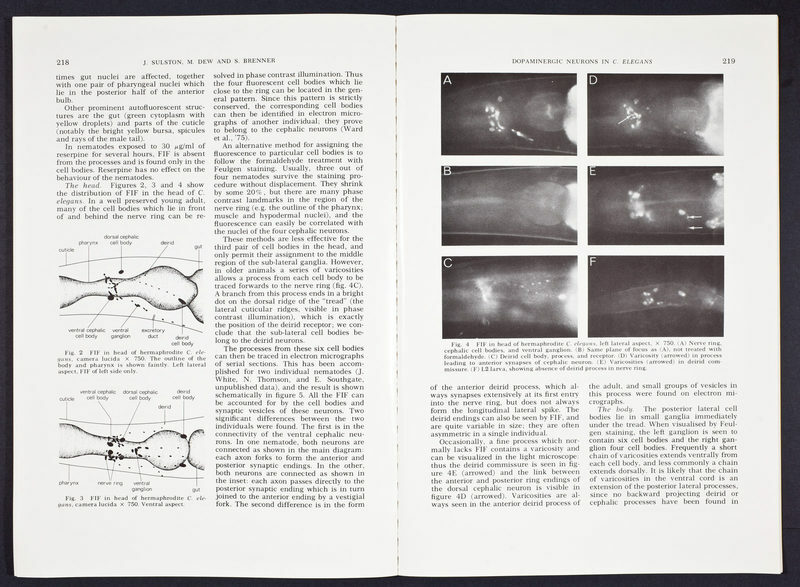 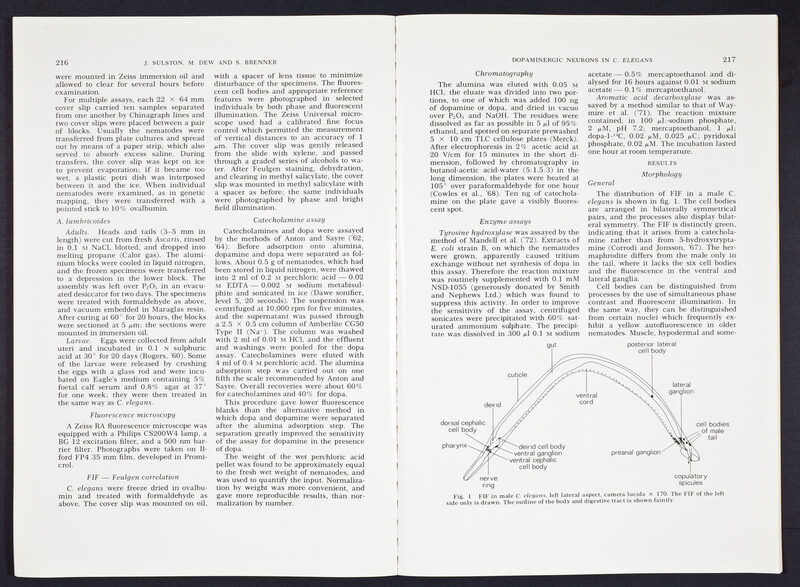 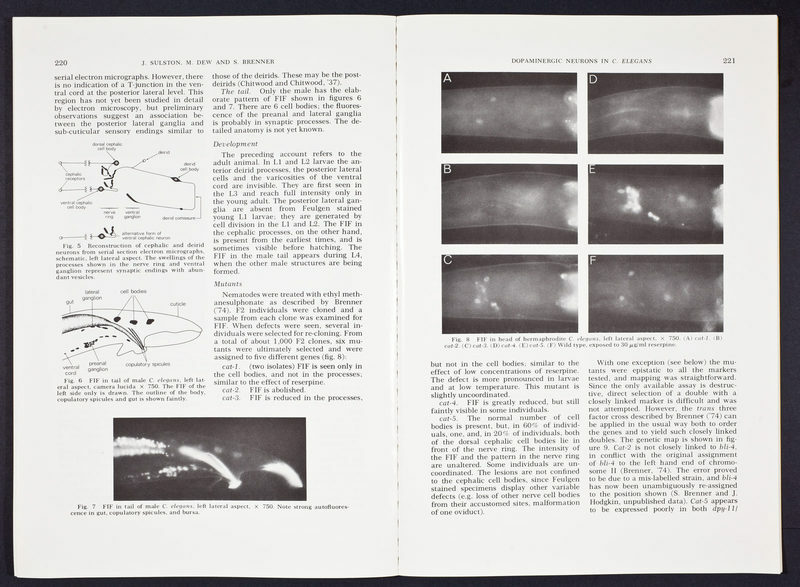 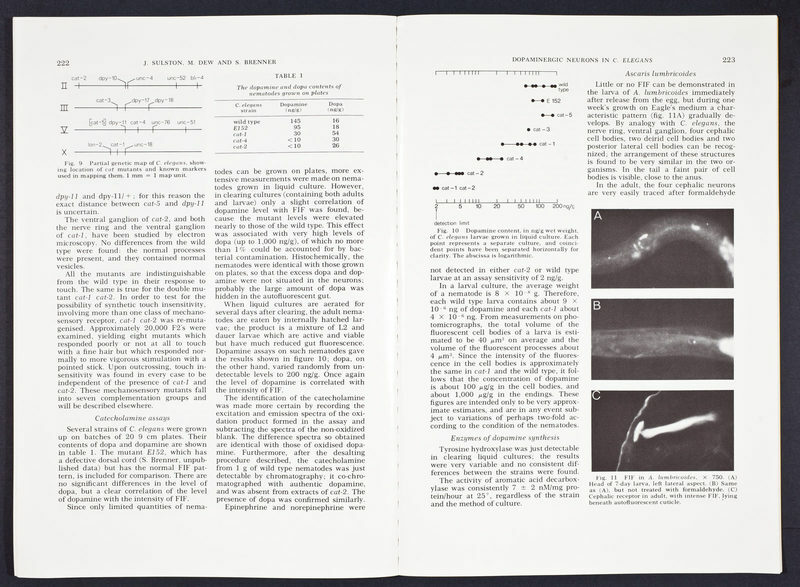 2 - "Dopaminergic Neurons in the Nematode Caerborhabditis elegans" by Sulston, Dew, and Brenner ,” CSHL Archives Repository, Reference SB/9/2/9, accessed April 24, 2019, http://libgallery.cshl.edu/items/show/75843.